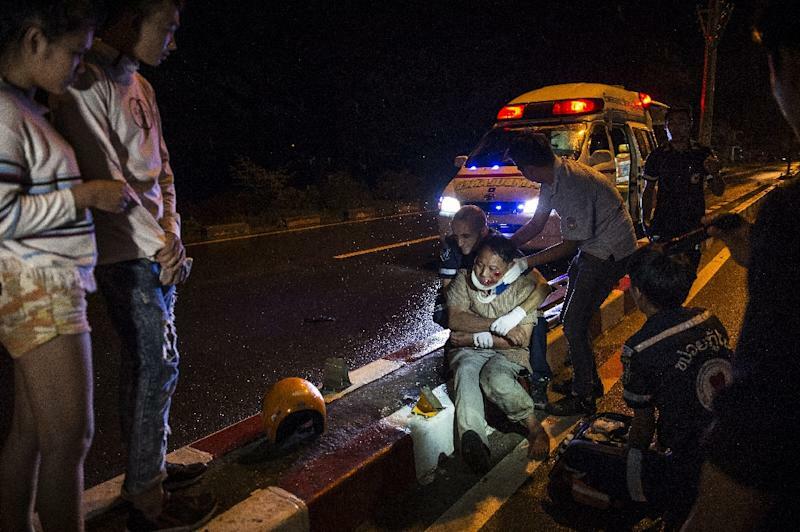 Vientiane (AFP) - "Look at me, stay with us," the paramedics shout as a barely conscious motorcyclist is bundled into a volunteer ambulance in the Laotian capital Vientiane, where rampant drink driving brings nightly carnage to the roads. It is a grim scene familiar the world over. 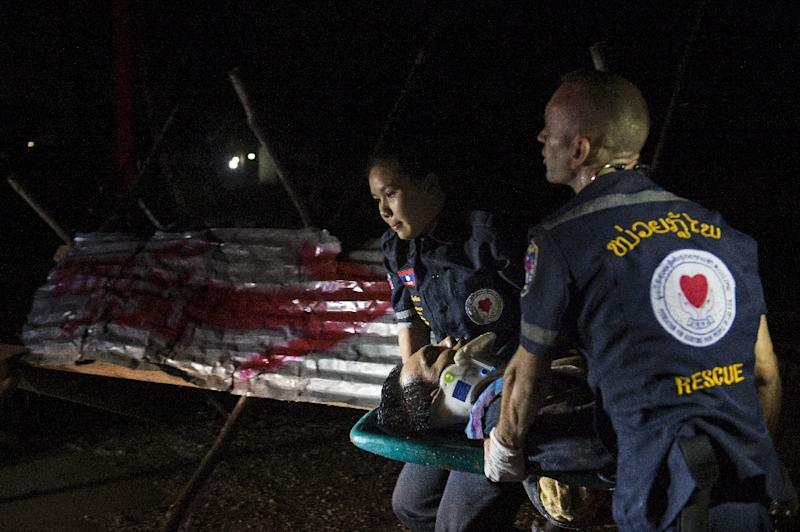 But in Laos, an impoverished and authoritarian communist country with almost no state-funded medical services, these kind of vital lifesavers are volunteers and entirely funded by donations. And they have never been more in demand. By the time the crew arrive at a nearby hospital, the Japanese donated ambulance -- a right hand drive vehicle in a left hand drive nation -- has picked up two more injured on the way. Fresh calls for help are coming in all the time. Founded in 2010 by a group of foreigners, "Vientiane Rescue" is a lifeline for those in need of urgent medical care. "Before we launched this service, after an accident the wounded were simply left on the roadside or taken away in tuk-tuks. That's obviously disastrous for those with fractures or trauma," explained Sébastien Perret, a French national and former firefighter who helped found the group. Poorly maintained roads, dilapidated vehicles, an increase in motorcycle use and the widespread prevalence of drink driving makes Vientiane one of Asia's most precarious capitals for road deaths. The government keeps few statistics, but Perret's group says demand for their services has jumped 30 percent in the last year alone. "We undertake around 20 to 30 call outs a day. And in 90 percent of cases it is road accidents," he said. There was a time when Vientiane was famed for its lack of cars. Backpackers passing through the city in the 1990s would marvel at the wide, French-built boulevards devoid of heavy traffic, bicycles and tuk-tuks the main form of transport. But years of rapid growth has seen the same streets filled with vehicles in recent years, many of them brand new SUVs and luxury cars driven by the country's communist party elite. That wealth -- and the volunteer ambulances scooping victims up from the road -- are both a stark illustration of how public services in communist Laos are largely nascent or non-existent despite being one of Asia's fastest growing economies over the last decade. In the 1990s the country's rulers abandoned free healthcare altogether, meaning ordinary citizens must fend for themselves when they get ill. Since 2000, Laos' GDP has increased 12 times, reaching $12.3 billion in 2015. But the country currently has one of the world's lowest spends on healthcare. In recent years it has averaged just 0.5 percent of GDP according to the World Bank. In contrast, similarly impoverished Cambodia spends 1.3 percent while fellow communist nations Vietnam and Cuba spend 3.8 percent and 10.6 percent of GDP respectively. The Health Ministry in Laos, a country where all foreign journalists must be accompanied by a government minder, declined an AFP interview but did issue a brief statement via email. In it they admitted there was a shortage of good healthcare. "The main problems for hospitals in Laos is the lack of qualified staff, equipment, coaching and financial resources," the statement said. But the ministry did not say whether there were any plans to increase healthcare spending or to tackle the issues in the coming years. Volunteer groups plug some of the gaps, but even they face shortages. 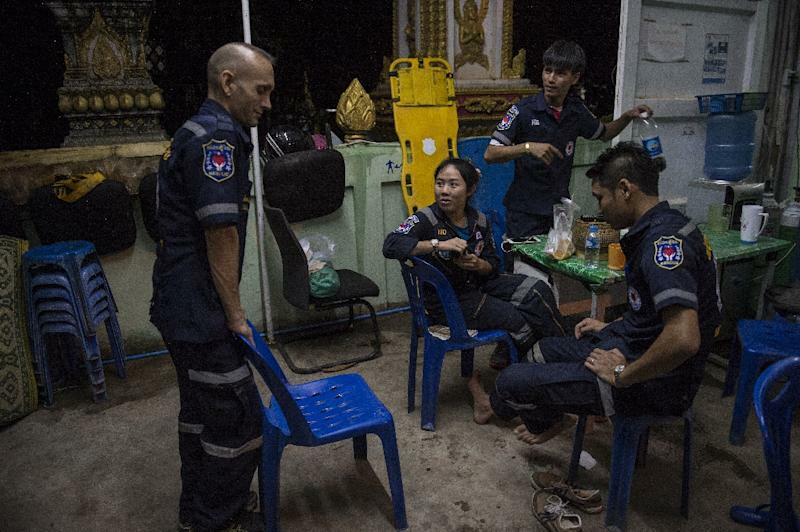 At Vientiane Rescue bandages are washed and re-used, while several of their ambulances are crudely converted cars. The service operates 24-hours a day, seven days a week and has also recently expanded into firefighting teams and specialists to counter drownings. Most of those volunteering are students who are sent to Thailand for first aid training. Mee Thevanh, 24, began volunteering after she was involved in a motorbike accident and had to make her own way to hospital. "After that I decided to become a volunteer. I spend most of my nights here," she said in a short break between emergencies. She admits that like many compatriots she used to regularly drink and drive. But no more. "And I've calmed down since," she said.